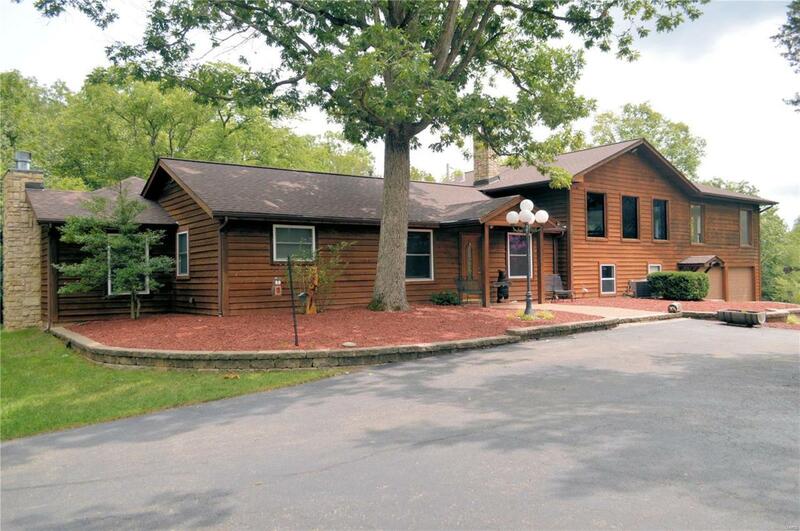 Ranch home on 9.5 Park like Acres w/2 Ponds & covered picnic area. You'll love the Expansive Kitchen w/SS appliances, granite counters, pantry, lg bay picture wdw over sink, ctr island w/breakfast bar & Breakfast Rm/Dining Rm area large enough for a full DR set. 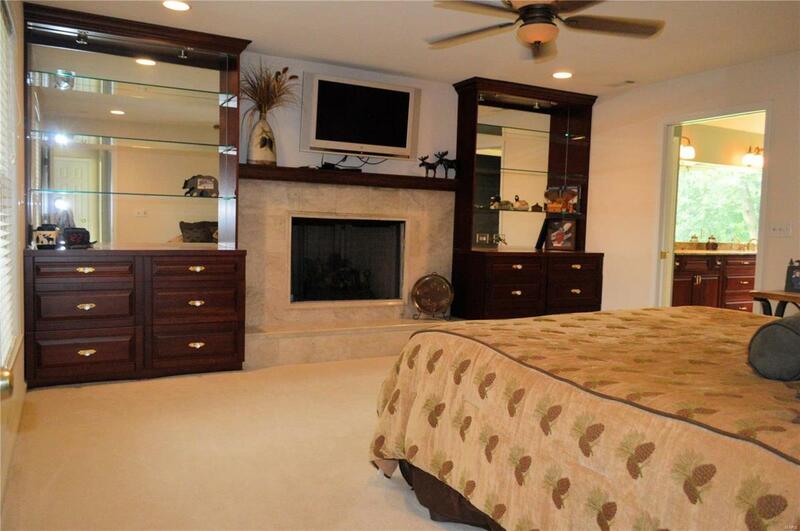 All is open to huge Great Rm w/vaulted ceilings, 2 ceiling fans & grand chandelier. 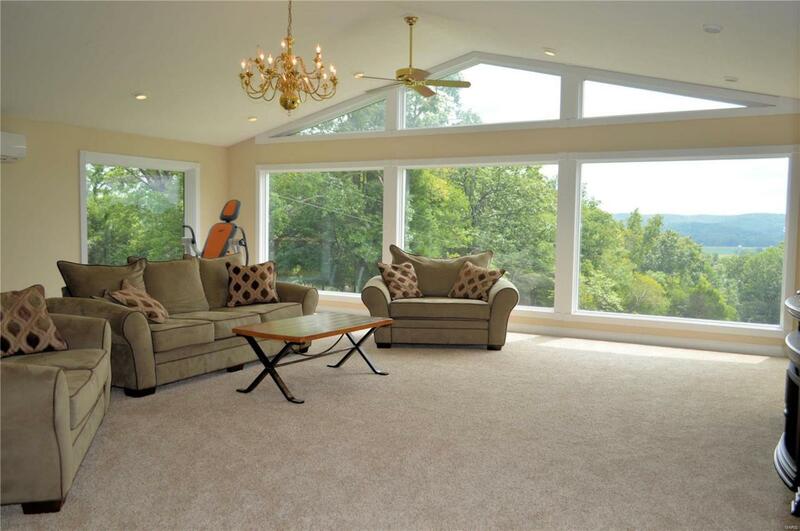 GR has sliders to deck & is surrounded by picture windows w/views of both the front & rear yards, woods, pond and rolling hills beyond. 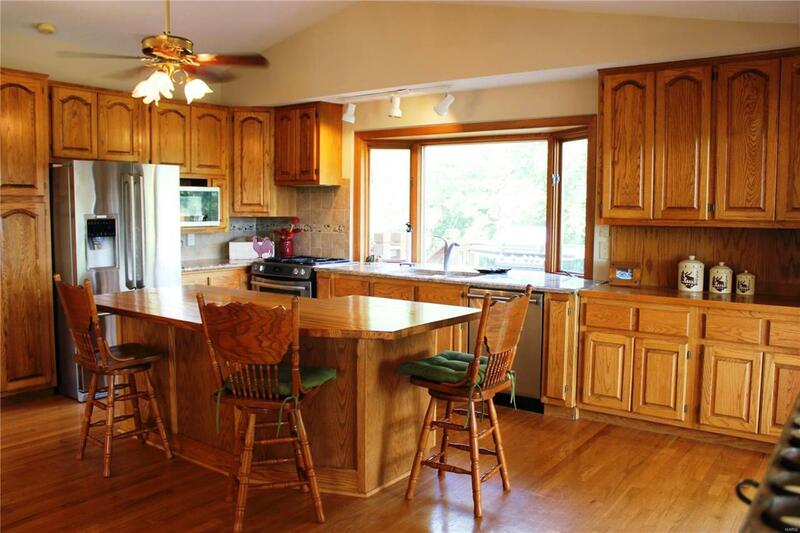 Main level Family Rm has a full masonry FP w/circ. blower, & sliding glass doors to patio. Master BR suite has built-in cabinetry/shelving flanking a 2nd FP, hugh walk-in closet, & full bath w/glass enclosed shower & sep. jet tub set amongst 3 picture wds. 2nd BR, hall bath, & den w/sliders opening to back patio finish the ML. 2 more BRs are located in the w/o LL as well as a full bath & laundry area. Add'ls incl. 2-car oversized attached garage w/workshop, detached 2-car gar., 1-car gar/outbuilding + much more!